We know most of you are already used to Gmail on your desktop/laptops. Yes, Gmail is awesome for reading and replying emails. Google has made it possible for you to read your corporate company emails from within Gmail itself. This has been made possible through the POP3 email standard which is a way for Gmail to pull emails from your Hataricloud hosted email account. We shall show you to to setup Gmail to read and reply emails. This is fairly simple. 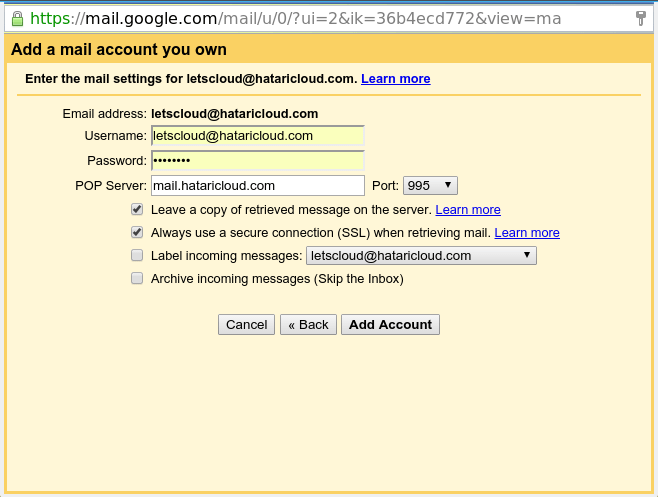 Gmail uses the POP3 email standard to retrieve email from our Hataricloud email server. Click on the accounts and import tab and then “add pop3 mail account you own”. This is where you enter more detailed settings for your company email account. Here we specifiy your email account as well as the email server hostname and the port number. Make you check “Leave copy of retrieved messeage from server” and “always use secure connection” and click Add account. If all goes well, Gmail will show you “checking email”. Simply wait for emails to start syncing in your inbox. You can also use Gmail to send out emails. 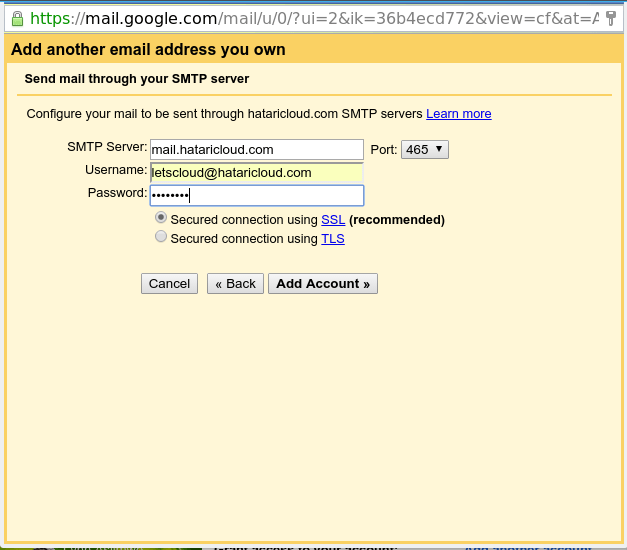 Gmail connects to the Hataricloud email server via SMTP, a standard used among email service providers to send out emails. 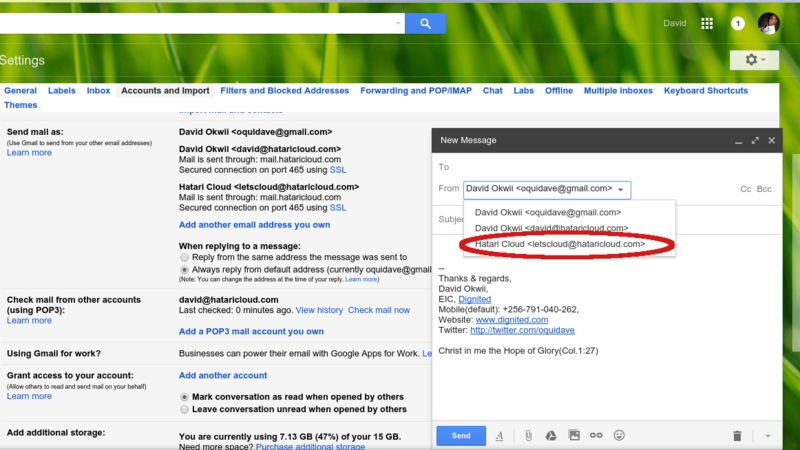 In this tutorial, we shall show you how to configure your Gmail to send emails from your company email account. 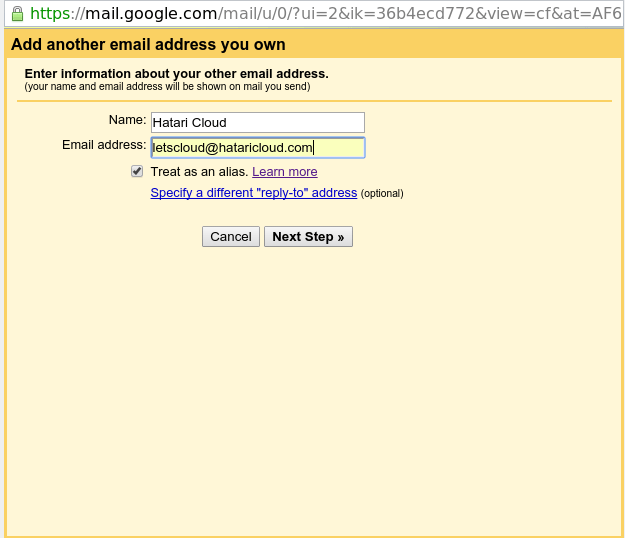 This is where you enter your email details and the Hataricloud email server details. Go ahead and add the account. Now you need to confirm verification. Gmail will send a code to your email address you are adding. 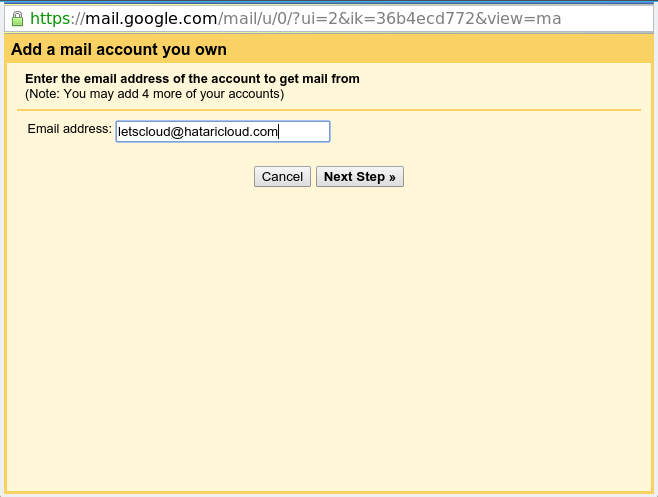 So go to Hataricloud webmail found at https://mail.hataricloud.com/, login to your email account and check your inbox for a verification email from Gmail. 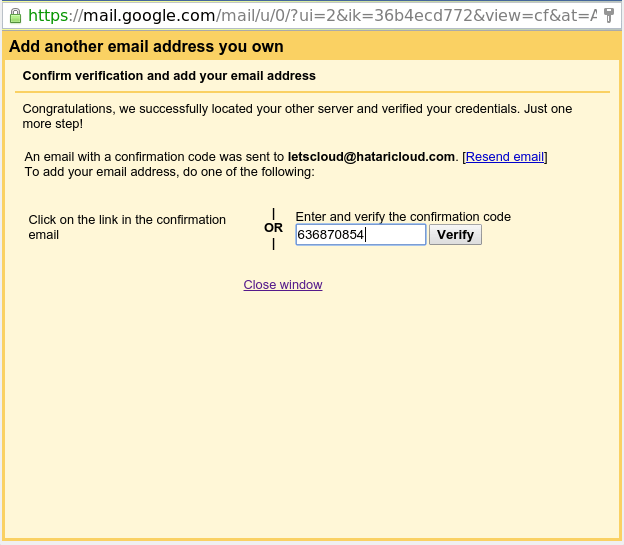 Now come back to your Gmail wizard and enter the verification code to confirm your email account. If all goes well, Gmail should now have added your email address. Now you should be able to send out emails from your company email. Simply go to the email compose box and select your company email address from the dropdown in the “from” field. Next Post Next post: Hataricloud two years later, what have we learnt?